Jack Margerrison joined Silverstone in July 2017 as Graduate Building Surveyor and works in our Leeds office. He obtained an RICS accredited First Class degree in Building Surveying from Northumbria University. 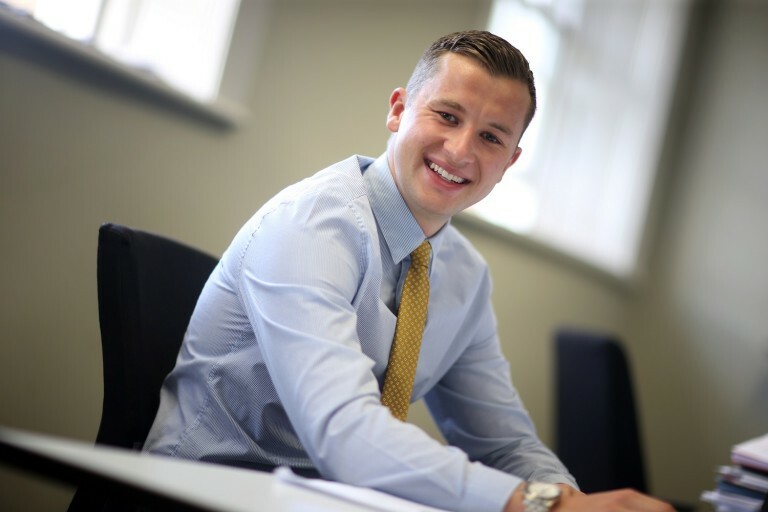 In our latest blog, Jack talks to us about how he is working towards becoming a Chartered Surveyor and explains what the process involves. As a Building Surveyor why is it important to get Chartered? Becoming Chartered means becoming a member of the RICS (Royal Institution of Chartered Surveyors) which requires compliance with the “RICS Rules of Conduct”, a set of strict rules and regulations. Clients look to appoint Chartered Surveyors because of the peace of mind in knowing that we are accredited professionals and that our work is regulated by the RICS. For me personally, becoming Chartered has always been the next important step after leaving university. What does becoming Chartered actually involve? There is a lot involved in becoming a fully Chartered Surveyor and the process takes a minimum of two years. a. Showing evidence that you’ve understood and applied the required competencies in your work through filling in a daily diary. d. Completing 96 hours of continuing professional development (CPD) over the two-year structured training. e. Submitting one case study of 3000 words written in a professional report format. The focus of the case study must be on a single project or piece(s) of work undertaken in the last 24 months. The project must allow you to demonstrate technical competencies from your chosen pathway, and how you used the competency skills. f. Sitting a final assessment interview after 24 months. Where are you now in this process and what else do you need to do? Currently, I am approximately 12 months into the process with the aim of completing my APC structured training in August 2019 and sitting my final assessment in November 2019. At this stage I have all my mandatory and technical competencies signed off to a minimum of level 1. I regularly attend CPD sessions held by the RICS, RICS Matrics West Yorkshire & Humber and Constructing Excellence Yorkshire and Humber. I have also attended RICS Matrics Networking events which have enabled me to meet different professionals in the construction industry who are also going through their APC. I will soon be choosing a project that forms part of my Case Study assessment. What support have you received from your colleagues? I am fortunate enough to work with some great colleagues at Silverstone who have already been through this process and are providing me with fantastic support. Silverstone has a 100% success rate of getting its surveyors through the APC assessment at first attempt, which is very encouraging. Louise Stewart, a director at Silverstone, is an RICS APC Assessor and Chairperson and therefore has a lot of experience to help me prepare for my interview. What are you looking forward to most about becoming a Chartered Surveyor? I am really looking forward to the day when I can walk into the office as a Chartered Surveyor having passed all of my exams and interviews. This will be a fantastic achievement and allow me take on greater responsibility with the prospect of working on some fantastic projects in the years ahead.